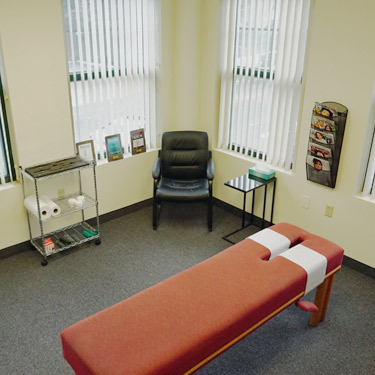 At Commonwealth Chiropractic, we understand the joints and muscles are closely connected and directly influence each other. Because of this, our treatment approach addresses both, joints and soft tissue structures. With chiropractic care, you can experience less pain, increase mobility, improve strength and flexibility and boost your endurance, whether it’s for sitting at a desk all day or running your next race, we can help. It’s our mission to help you achieve optimal health and reach your goals. Dr. Crabtree uses methods such as Graston Technique®, Active Release Techniques® and more, which break up adhesions and lengthen your muscles to improve blood flow, decrease pain and enhance mobility. We’ll walk you through our treatment recommendations before getting started so that there are no surprises. Graston Technique® is an instrument assisted technique that focuses on the treatment of scar tissue and fascial adhesions with the goal of restoring range of motion, eliminating pain, and restoring normal function. RockTape® is a form of kinesiology tape that will provide support for you without limiting your range of motion, which decreases symptoms of pain. It’s a durable form of tape that can be worn in nearly any weather condition or climate without coming off. Your right and left feet aren’t exactly alike. When you buy orthotics in a store, they’re not created for your specific needs. We’ll customize an orthotic to your foot, giving it the proper structure to prevent the overpronation that many people have, particularly runners or people with flat feet. We’d love to speak with you about how our gentle and effective chiropractic care can address your concerns. Contact our team today to arrange a free consultation!